Signed copies are available for purchase right here, copies will be available on Amazon and Barnes & Noble in February 2017. TELL YOUR FRIENDS! Let them know you love Moving Water, and why you think they would love it too. If you are on social media - share it! There are social media icons, blurbs, and links for you to use below. Host a gathering in 2017 - if this idea interests you, email me and let's brainstorm. Do you have a blog, website, magazine or other inspiring publication? I'd love to contribute! Listen to my new podcast - The Conscious Booksmith Podcast - and, if you love it, pass it along. Christine is currently organizing a book tour of private readings and gatherings. If you are interested in hosting Christine in your studio, boutique, bookstore, or living room, email her here. 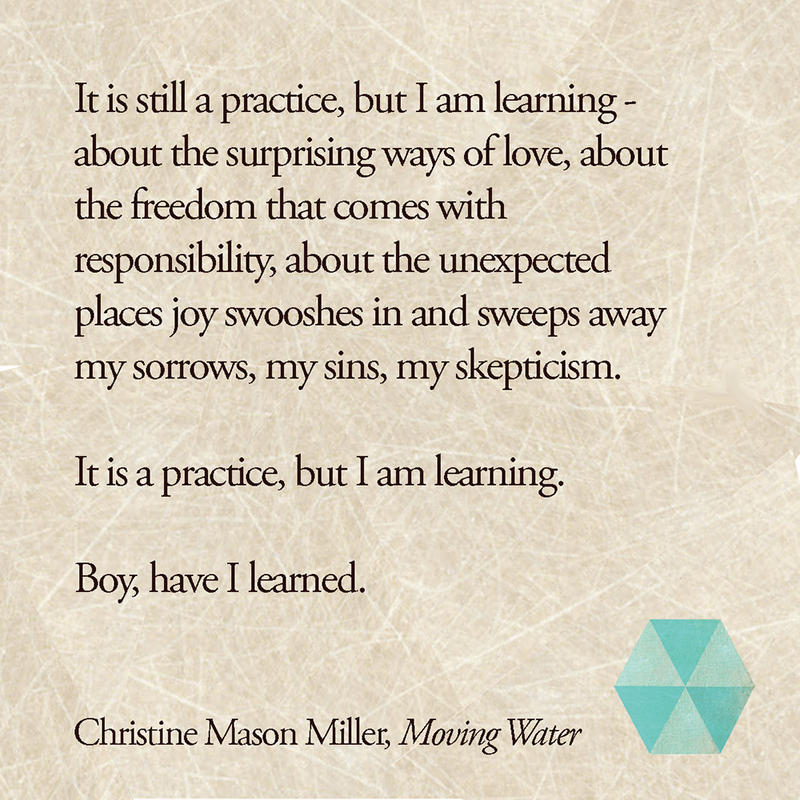 I just read Moving Water by Christine Mason Miller and loved it. Order a signed copy at www.christinemasonmiller.com. 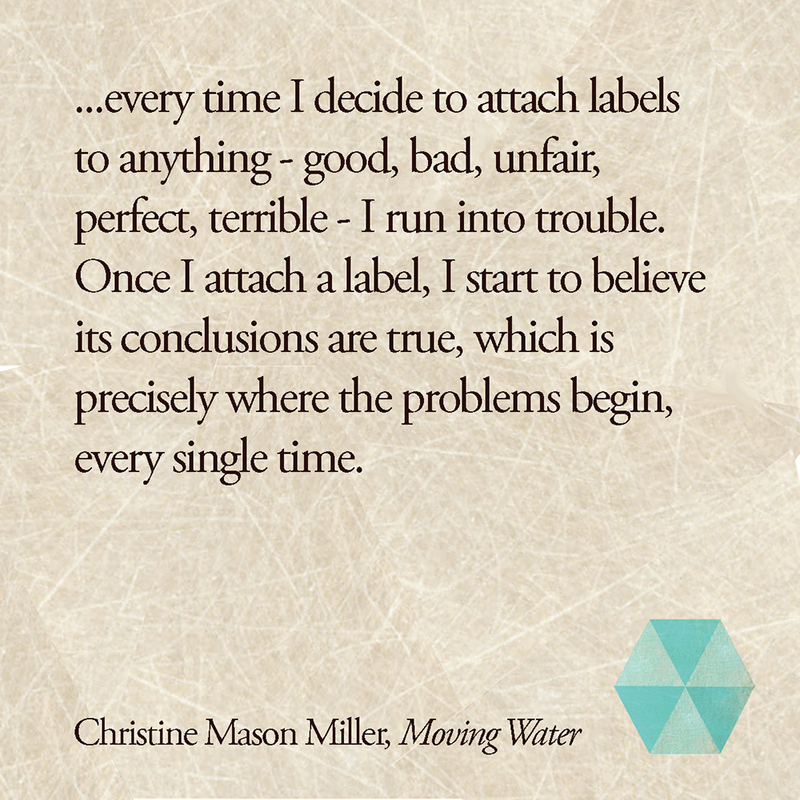 I was an early reader of Moving Water - a new memoir by Christine Mason Miller - and can't recommend this book enough. Visit www.christinemasonmiller.com to order a signed copy. 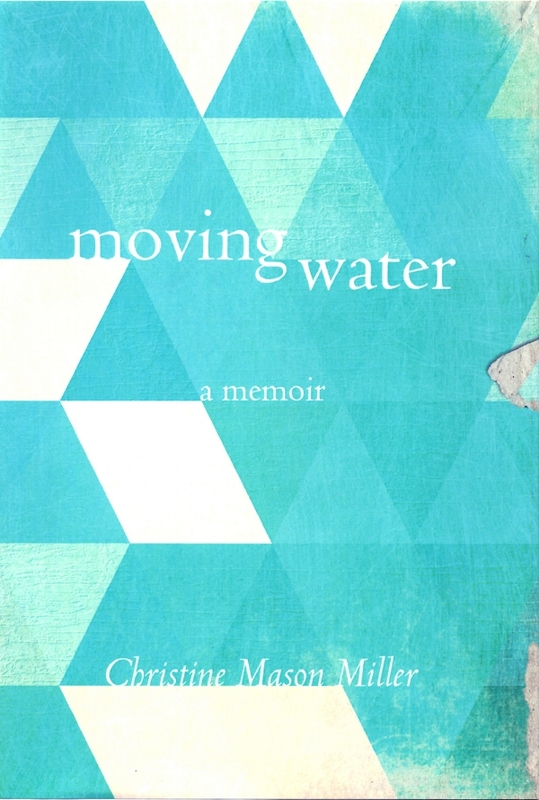 After getting a sneak peek at Moving Water, a new memoir by Christine Mason Miller, I am excited to share the news that the book is here! 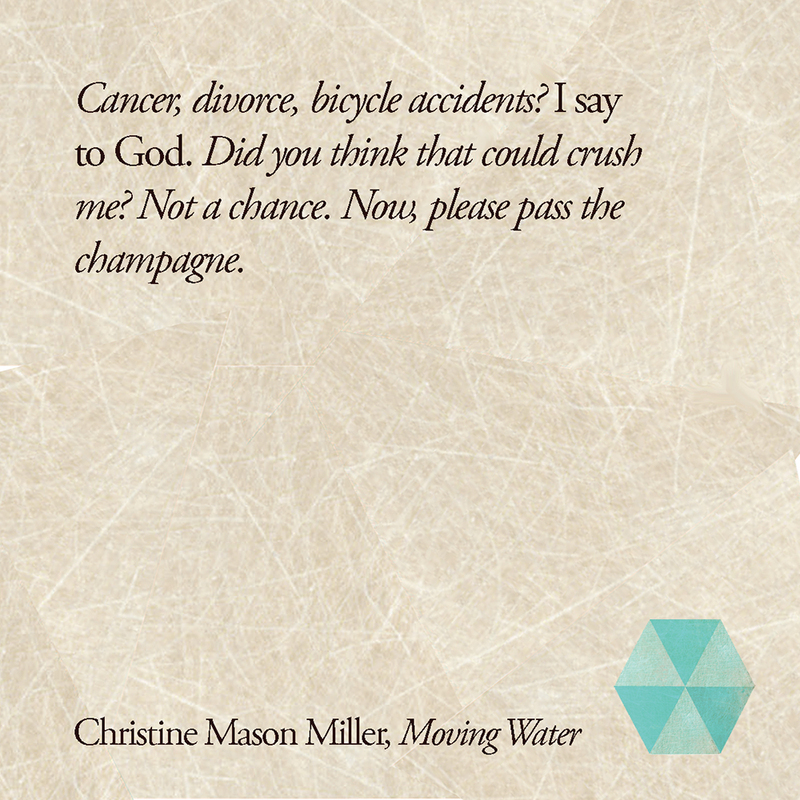 Visit www.christinemasonmiller.com to order a signed copy TODAY! > Blog, Website, Conscious Booksmith online course and Conscious Booksmith podcast - a new weekly podcast about the journey of writing Moving Water. > Print publications: Bella Grace feature article published in Issue 10, released December 1, 2016. 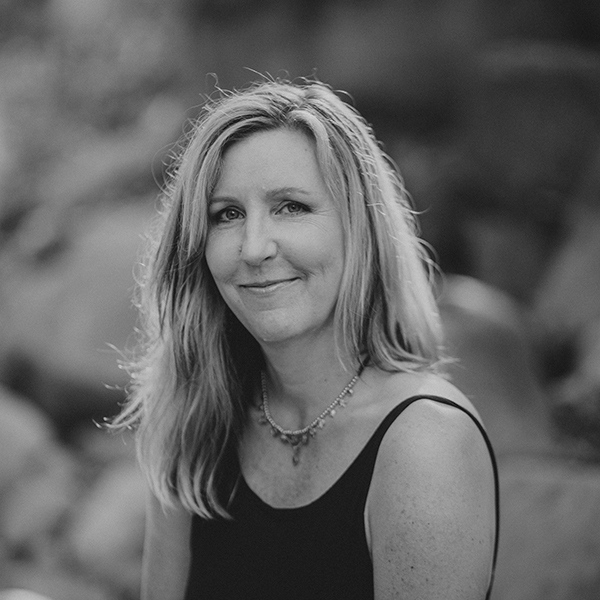 > Radio Interview here | Interview with Kimberly Wilson here | Modern Creative Life essay about writing Moving Water here. By the time she was thirty-three years old, Christine Mason Miller had it all - a thriving career as an artist, a husband who loved her, and a home with an ocean view. In less than a year, it all fell apart. After recovering from a year that involved an affair, a divorce, and a cancer diagnosis, she found herself married into a new blended family that forced her to confront all her broken ideas about what it means to be part of a family. Time and again, she was faced with the same choice: resist it all or see everything as an opportunity for growth and transformation. 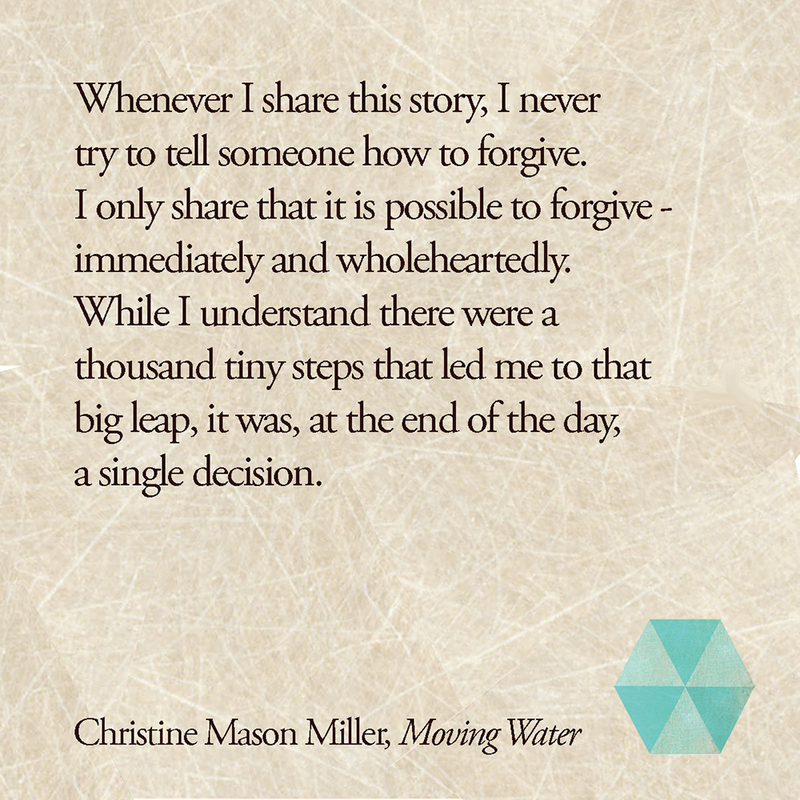 Touching upon themes of forgiveness, presence, acceptance, and healing, Moving Water is a testament to the power of everyday choices and the joy of surrendering to love. "I am surrounded by spiritual teachers and I, too, am one of those teachers. I didn't arrive in this circle with nothing to offer but came with gifts of my own, too many of which I initially believed were fatal flaws and defects. Once I pulled back the curtain on the parts of myself and my history that I saw as shameful, sad, and miserable, I encountered not a mudslide of grief but rather a gentle gush of compassion - for myself." Christine Mason Miller is a Santa Barbara-based author and artist who lives in a 100-year old farmhouse with her husband and their chocolate lab Tilda. 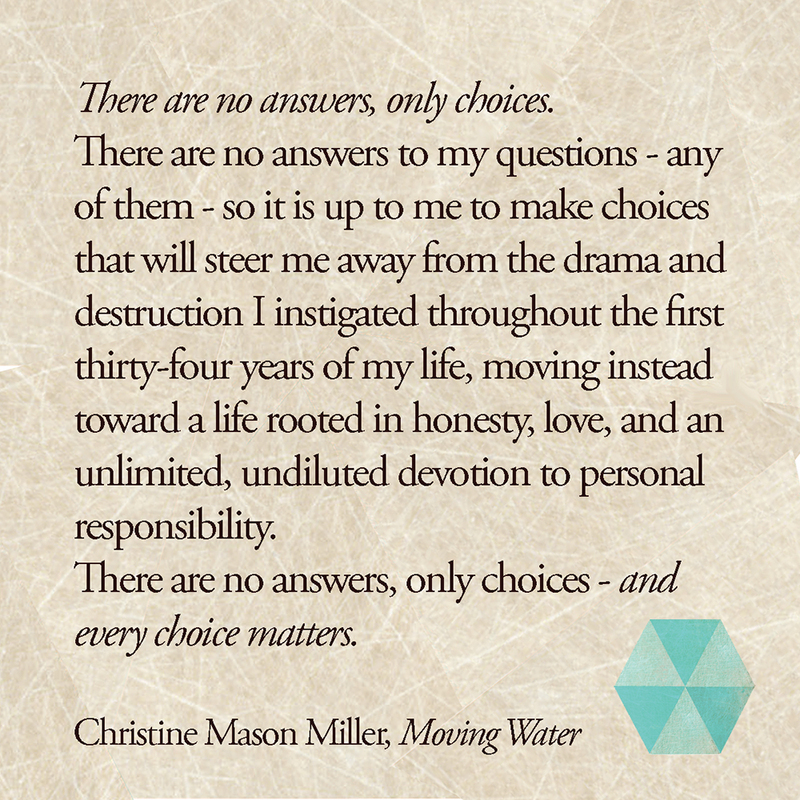 Her latest book - Moving Water: A Memoir - is now available for pre-order at www.christinemasonmiller.com. 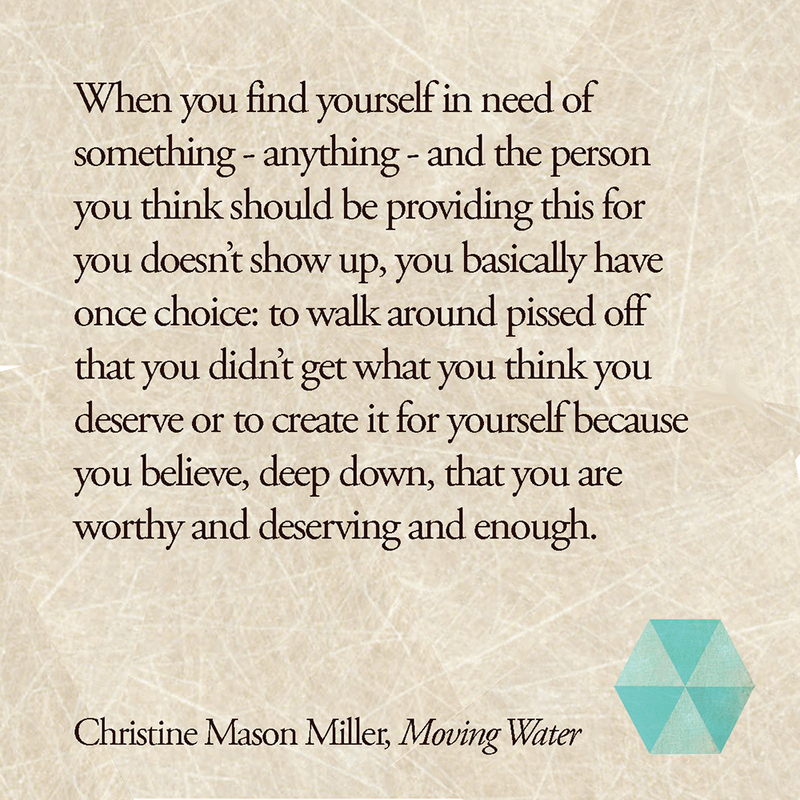 Christine Mason Miller is an author and artist who has been guiding others toward a meaningful life for more than twenty years. Her experience with writing, publishing, licensing and teaching have established her as an experienced, compassionate authority on how to bring dreams to life, particularly those related to writing and publishing a book. 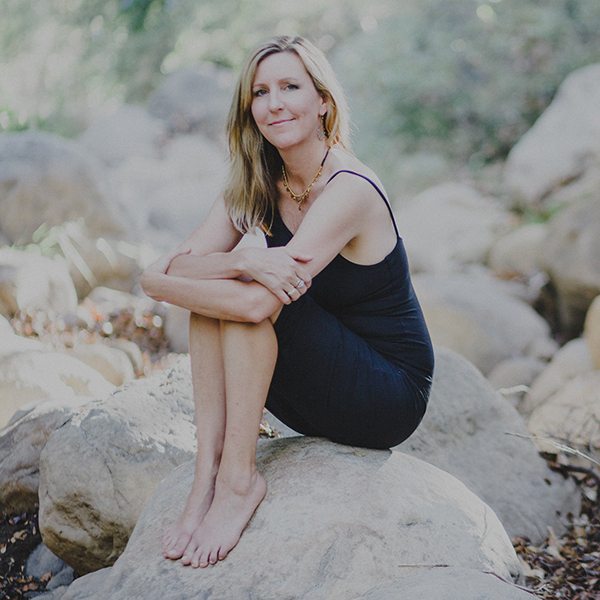 Her online course, The Conscious Booksmith, has supported hundreds of aspiring authors on their book creation journey. Christine is the author, artist and illustrator of four books, each one distinctive and unique in its topic, scope and design. Her latest book, Moving Water: A Memoir, is now available.